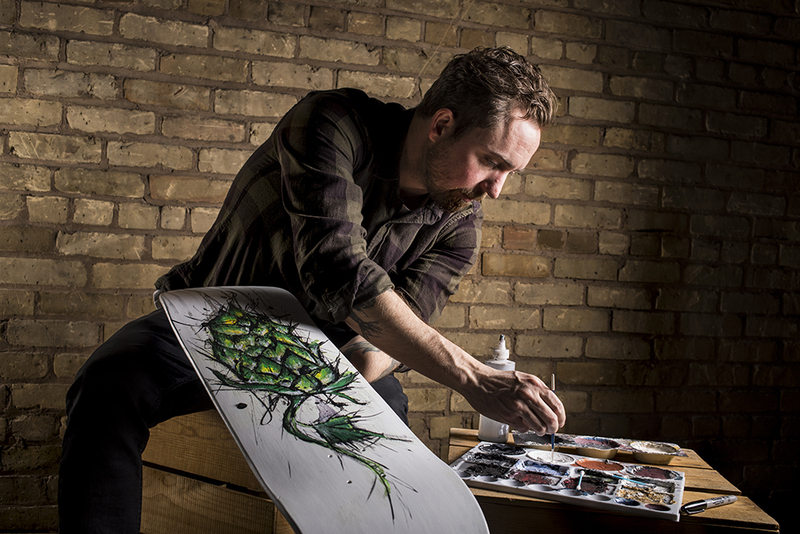 On April 20, Wet Paint on Grand Avenue in St. Paul is hosting a skateboard art demonstration with world renowned skateboard artist (and the cover artist of The Growler’s April issue) Mark Rivard. Rivard has been creating original works of art on skateboards for 15 years and his work can be found around the globe both in the skatepark and on gallery walls. This free demo will go from 11am–1pm. At 2pm, Rivard will instruct a teen-only skateboard art class where participants will get first hand instruction while creating their very own skateboard design and have a front row seat to hearing Rivard’s inspiring story from beginner artist, to professional business owner, and endorsed artist by Sharpie Markers. On top of that, Rivard is inviting students to show their final work at his Skateboard Art Exhibition on May 16. Cost to participate in the class is $90, which includes materials and a skate deck. Find more info on the events here.